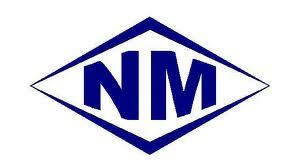 Newco Metals, Inc. was founded in 1986 as a metal trading company supplying aluminum billet to the extrusion industry and trading in the primary aluminum industry. In the years that followed, Newco Metals started trading in the automotive and die casting industries and moved their office fourteen miles northeast of Indianapolis to Pendleton, IN. Newco Metals quickly expanded with a 60,000 square foot warehouse and a location in Anderson, IN. From aluminum, copper, brass, stainless steel and steel, we do it all! Quick service, pleasant people, and super efficient. The only place I will go with scrap! Just went for the first time, very nice hardworking staff, had us in and out, very efficient.